AOL Reader's RSS service provides an informative interface that is fast and simple. The overall functionality and experience will be familiar to most; tags, unread counts, etc. The have integrated the top read later services and allow sharing to many social networks. An API is available for third party developers to create services and apps. Bloglovin' has an easy to use service that supports feed search/discovery as well as manually adding single feeds or multiples through importing. The interface allows you to sort by date or blog, view popular posts by category, and it tracks your unread posts. A standout feature is getting new posts by email. Also available on Android and iOS. Digg Reader is a basic reader with simple functionality and a clean layout. The top read later services are integrated and sharing to your social networks is easy. Popular stories are quick to find because it is backed by Digg's news aggregation/discovery site. Also on iOS and Android. FeedBooster is an advanced reader with customizable views, filters, and content searches. Feed discovery is supported along with the ability to manually add a single feed or upload a group of them. It does not display the entire article, therefore this reader is great for title surfing and honing in on a specific topic to monitor in realtime. Feedly provides a familiar feeling yet robust reader with multiple layout options including a featured section that highlights the most shared articles within your feeds. Easy organization and importing are accompanied by a wide range of sharing and read later services. It is used by many third party apps as their reader of choice. Try Feedly on your mobile device; Android or iOS. FeedShow is a basic reader with a traditional layout. It lets you organize the feeds you add/import into folders that indicate when there are new items to read. Saving the story locally and converting it to a PDF file are some nice additional features. Feedspot has incorporated a social element by adding commenting and the ability to share posts with your friends that use the service. You can add and search for single feeds, read full articles, and see what you have not read. Good Noows has over ten different visual layouts for you to choose a suitable style. Subscribe and find feeds or import your feed collection to get started. Clicking on a story opens a pane with the full text for a uncluttered read. Searches can be saved as a label to quickly find specific posts you are interested in. NewsBlur has enhanced its classically styled reader with the ability to follow other users, share stories to your internally hosted blog, and train the system to recognize what you like. Organizing the feeds you add is simple and it shows your unread counts. The full item is shown so that you do not have to click through. To read it in the original format you can use the "original" feature to see the actual webpage in place of the feed text. Get it on Android and iOS. The Old Reader is a very traditional reader with the ability to follow other users and see trending posts. Subscribing and importing is supported and you can share posts with your followers as well as like and comment on them to start a conversation. The full story is presented, but you can set it to only show the titles using the list view. While many readers (new and old) were researched for this post most were found to be lacking some of the features that make a full RSS reader useful and efficient. Current news aggregation and consolidation services that surface trending stories are extremely useful and proficient, but are not good at reading and following a specific blog feed. With the closure of Google Reader some feed readers that are currently limited to certain platforms are working to open up and new players are coming on the scene. 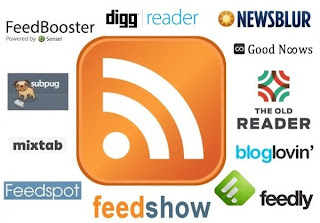 If new RSS readers perform well they will be added to this post. Which feed reader are you using? Take our poll! Also, share your reader recommendations in the comments below. 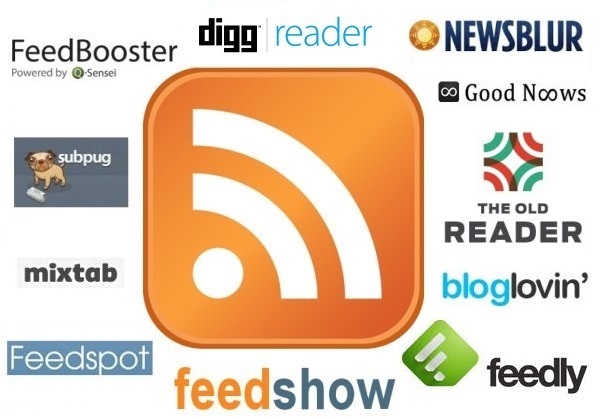 Which web based RSS reader do you primarily use? I've had amazing luck with http://www.feedafever.com/ -- easy to setup on your own server (self-hosted), and works great. Haven't even touched Google Reader since I started using Fever. There is also www.rssque.com which is nice and easy. Try out vRSS http://vinaybabureddy.com/vRSS.php which is similar to skimr but can be used without signing up! The Old Reader is very similar to Google Reader, exactly what I was looking for. Try http://vrssreader.com. Its a simplified rss reader and no sign-up required.